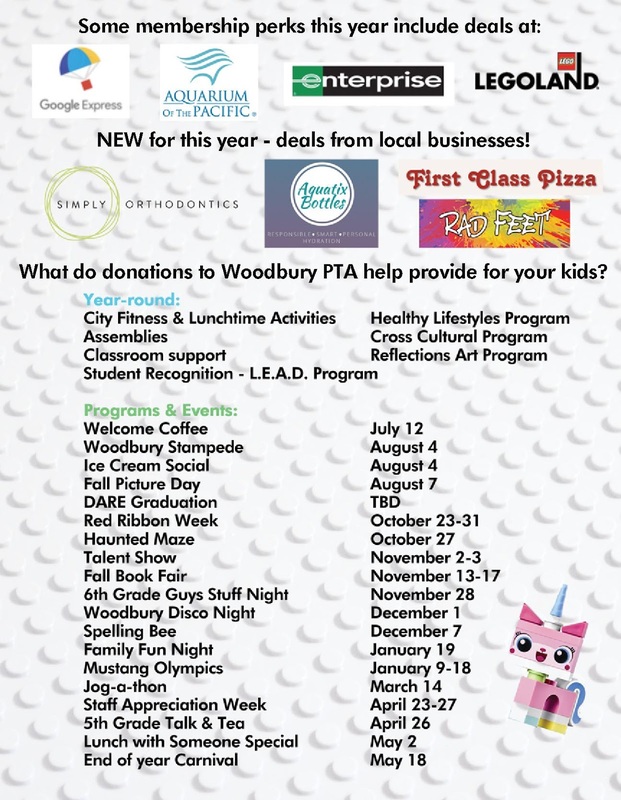 Woodbury PTA: Welcome Back! It's time to join the PTA! Welcome Back! It's time to join the PTA! Welcome back to Woodbury! We hope everyone had a great first day of school. It was great to see so many of you at the Welcome Breakfast this morning and we are looking forward to a great year! To kick things off, it's time for our annual membership drive. PTA Membership is only $15 and anyone can join - moms, dads, grandparents, etc.! If you join by July 28th, your child will receive a special LEGO themed pencil. 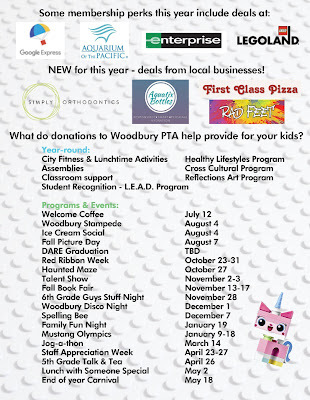 In addition to members, we need your pledges to run the many programs we offer here at Woodbury. You can see a list of many of the programs we offer and we can't do it without your help. The suggested donation is $100 per student. 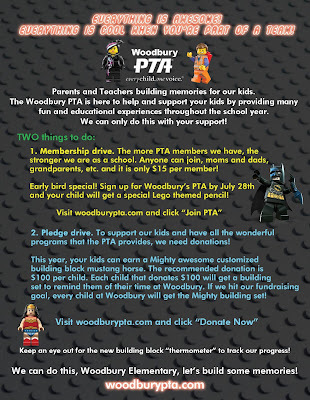 Each child that donates $100 will receive a special building set to commemorate their time at Woodbury. 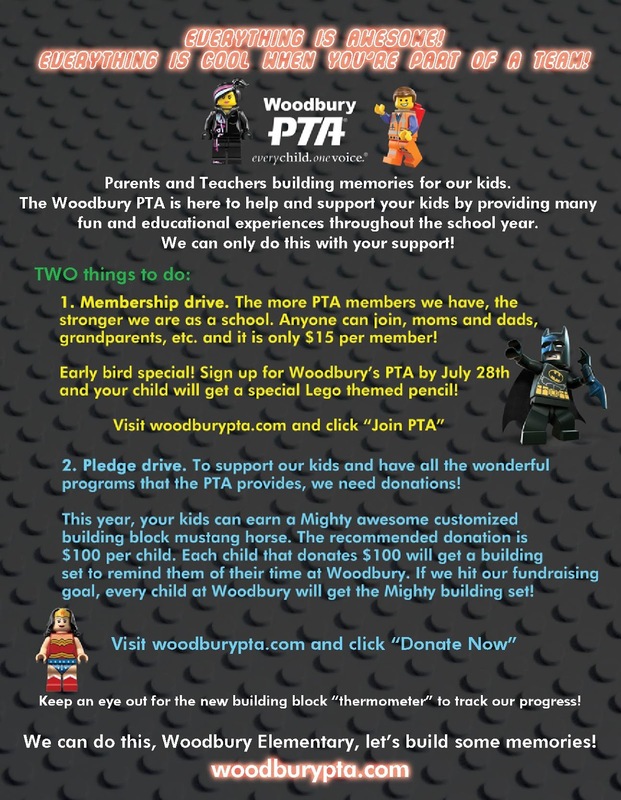 Click HERE to donate to the PTA.